I want to incorporate a foreign language study in our homeschool but I don’t have much extra time to focus on it and I don’t have an extensive background in any foreign language. So, I needed something incremental, easy to teach, clear, and concise to use in our homeschool. I found exactly what I needed in Getting Started with Spanish. 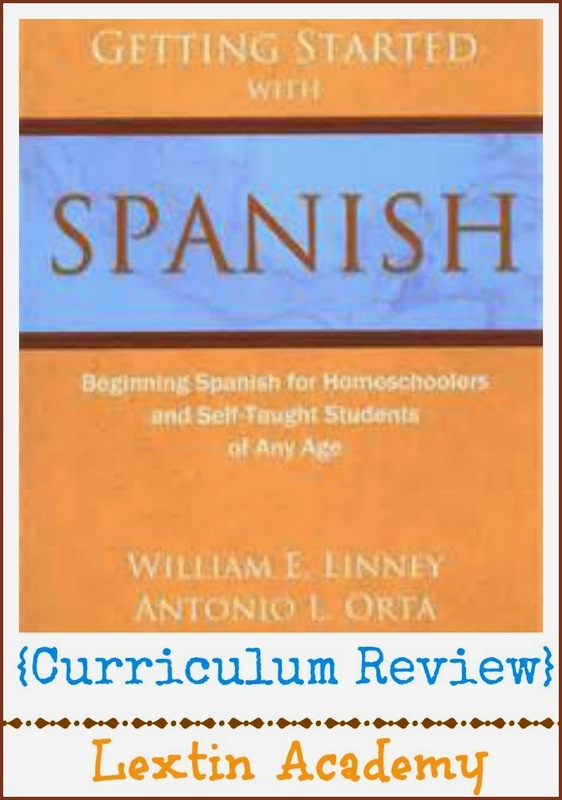 This has been a great beginning Spanish program for our homeschool. Getting Started with Spanish is a book with 177 lessons. The lessons are very incremental and move at a slow pace. Each lesson either introduces a new vocabulary word, verb conjugation, or grammar concept. Then every lesson ends with 10 sentences in Spanish for the student to read aloud and then translate into English. These sentences use the word or concept from the lesson as well as reinforce words and concepts taught in previous lessons. There are audio clips on the website to help with pronunciation. Hay un emparedado de pollo en el comedor. Esta ropa es la ropa nueva de mi hermana. Then there are 10 sentences for translation at the bottom of the page. It’s inexpensive. You buy one softcover book and it takes you through an entire year. The answers are included in the back for all the translations. The lessons are very short which means that we do a short Spanish lesson every single day. This has made us retain the lessons well. Only one concept or word is taught at a time. This has helped us not become overwhelmed with a list of vocabulary words or conjugations to learn all at once. Translating the 10 sentences every day has been excellent practice and has helped us both retain everything we have learned through the program. I’m sad that there is not another level of this program and I know I’ll have to find something new for next year. However, this has hands-down been the most gentle and effective introduction to a foreign language that I have been able to find. It’s been the perfect starting point for us in our homeschool.